Spaces Running low for the Spring Mayor's Citizens Government Academy! 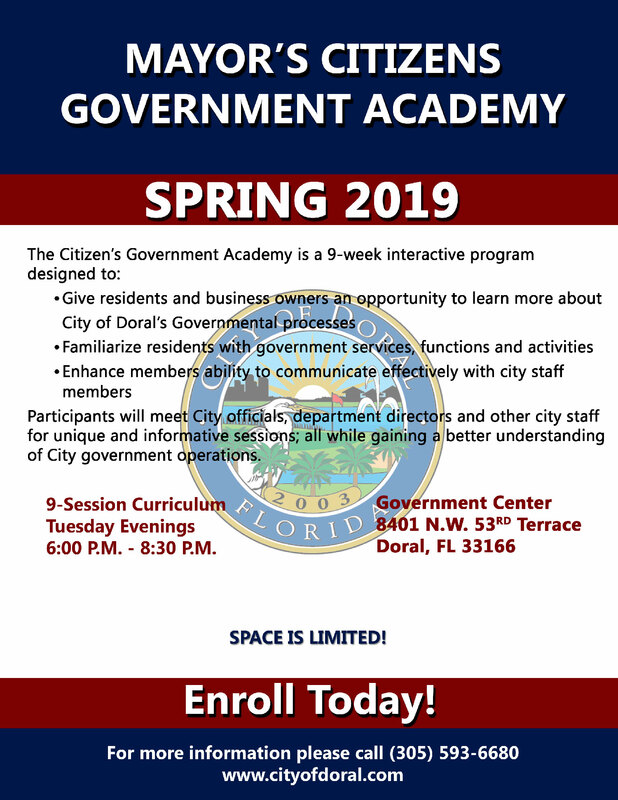 Sign up before March 22, 2019 to be part of the Mayor's Citizens Government Academy, which focuses on educating citizens about the City's governmental processes. We are also looking for sponsors for the Mayor’s Citizen Government Academy! at 305-593-6680 or at codecompliance@cityofdoral.com.